Evans, who reached the second round two years ago after eliminating Marin Cilic and was sanctioned for cocaine use, was close to winning the first two sets. Roger Federer has accustomed us in recent years to start idling in the Grand Slams. Age does not forgive, and at 37 years the Swiss can not spend too much forces in the first rounds if he wants to be competitive in the last. That tactic, which complements with free days of training, sometimes has consequences when an enthusiastic rival arises that puts him face, as has done this Wednesday the peculiar Dan Evans. Famous for reaching the second round two years ago, precisely in the Australian Open, after getting down to Cilic with a white shirt without a sponsor bought for 15 euros, and more sadly for testing positive for cocaine and being sanctioned, the Briton was close to winning the first two sets against which many consider the best player all the times. But as in that movie we've seen many times, Federer did not get lost in the playoffs and sentenced with more tranquility in the third set. In the end, 7-6 (5), 7-6 (3) and 6-3 in 2h: 35. 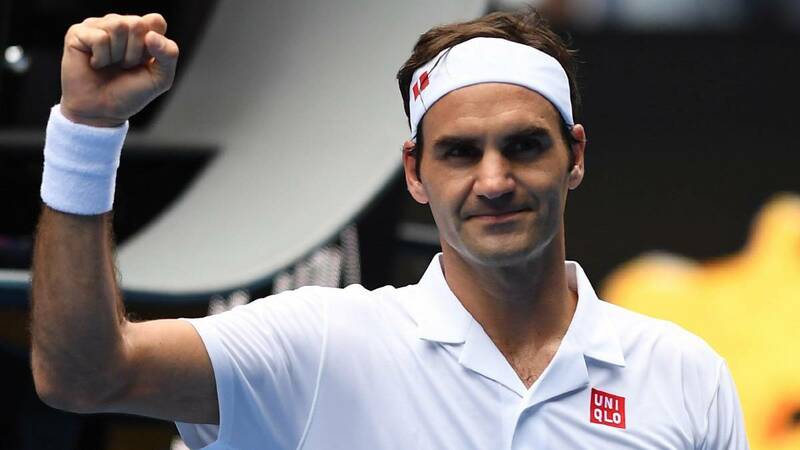 Show it is, SIr Roger has already 96 victories, more than anyone in the Open Era (since 1968), in the Big Aussie, a tournament in which he has always gone to the third round. The serve (84% of points with first) and the winning shots (56) kept Federer afloat against an opponent who played with courage and sometimes with a class that imitated the master's. Both hit the back to one hand, for example. But after so much struggle, he ended up exhausted. The Swiss hopes rival: Monfils or Fritz.